1. Participate in a charity walk or fundraiser. You’ll benefit your own health while helping to benefit someone else, a community goal or other worthy cause. Numerous websites provide information about local walks and search features. Fitness Magazine provides a list of charity organizations that host walk/runs benefitting causes like curing Alzheimer’s Disease, breast cancer and ending domestic violence. 2. Go antiquing. Take a stroll through time and marvel at the things people used in the past. Many towns and cities have “antique districts.” Often, you’ll find shop after shop after shop all within walking distance. 3. Visit the zoo, an aquarium or play mini golf. You’d be surprised at how many steps accumulate as you stroll along, observe or participate. 4. Go to a museum or an art gallery. Check with your city and see if there are any new exhibits in town. Who knows? You may find a new interest you didn’t know you had! 5. Become a volunteer dog walker. We all know the majority of us aren’t getting enough steps in. This probably also means that dog owners aren’t out walking their dogs as much as would be optimal. 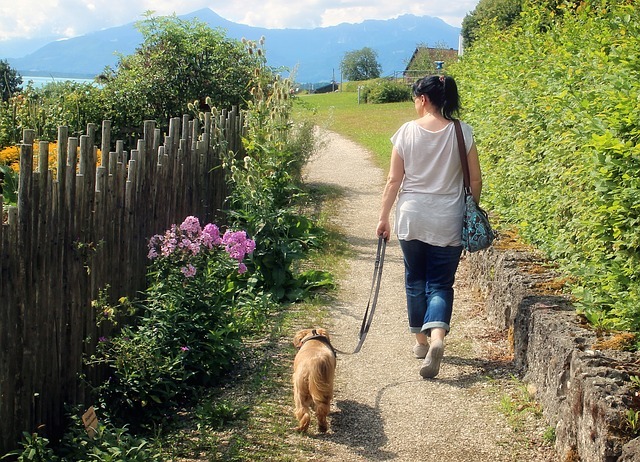 Chances are, you know a few dog owners who love their dogs and would love for their furry friends to get out and enjoy a walk. You’ll get your steps in and make a dog’s day. 6. Visit a craft fair, farmer’s market or other outdoor show. Many towns and cities have something going on every weekend and often during the week as well, depending on the theme. Do an online search for local events or farmers’ markets in your area. 7. Attend a music fest, rodeo or other festival. Some of these types of events last for days. Austin, Texas’ popular SXSW festival usually runs for about 10 days. Attendees can purchase passes by the day or buy a pass for the entire event. Run a search for music fests in your area. Websites like Music Festival Wizard keep track of events nationally. Rodeos in large cities cover huge areas with booths, events and concerts. Lots of steps to get in at these events! Visit Everfest online to locate rodeos near you. 8. Go window shopping or visit an outlet mall. Make a promise you’ll walk the whole thing before stopping more than a few seconds and only then will you go back to browse in the store where you saw that ONE thing you needed! Visiting a new city and not sure where the malls are? Visit Outlet Bound to discover outlet malls near you. 9. Find a botanical garden, a hiking trail or local nature trail. Does your community offer a walk along a river that runs through town? Do you have a nature center in the area? What about a wildflower or Christmas tree farm that allows visitors to stroll through? The American Public Gardens Association offers a search feature to help you locate a variety of public gardens in your area. 10. Offer to visit people in the nursing home who are in wheelchairs. Seek permission to take the elderly out for a walk and offer to push wheelchairs. 11. Play a game like Pokemon Go with your kids and see how far you can walk while locating monsters like Pickachu. 12. Visit a local fort, mission or other landmark that requires you to walk around and observe it both inside and out. Offer to pick up litter at these or other historical places. Helping to keep your community and its landmark’s in great shape and looking clean not only helps your community and the environment but also gives you a sense of purpose while getting your steps in – further improving your own wellbeing! *Our 12 steps were based on and adapted from the suggestions in 10,000 Steps a Day to Your Optimal Health by celebrity fitness trainer, Greg Isaacs. I like #5 volunteer dog walker!